I believe this quote is a great reminder of all the good we're capable of doing. 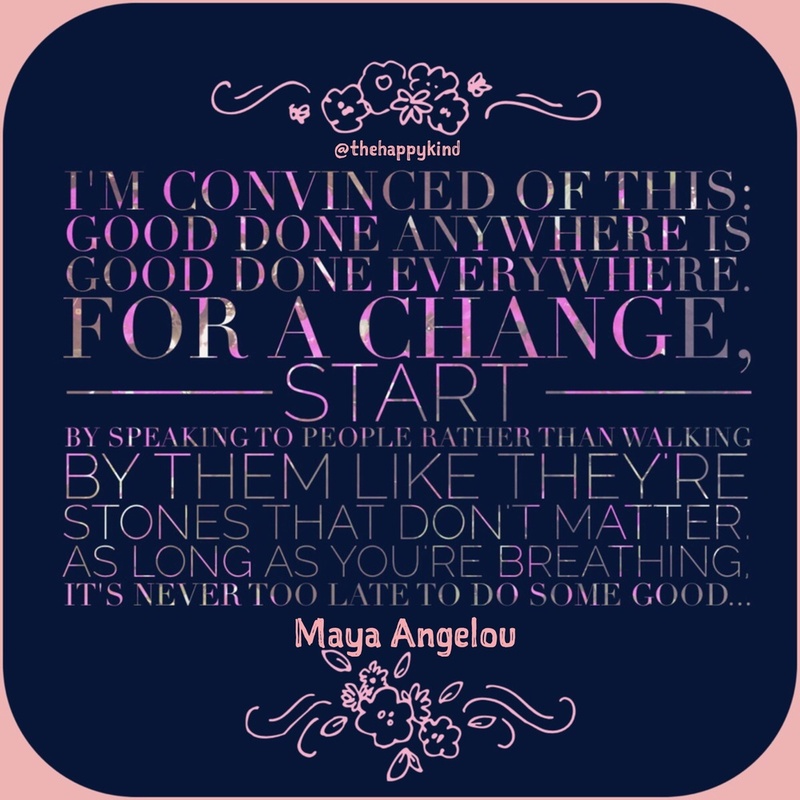 In honor of the great Dr. Maya Angelou (who just passed away), who has done so much good within the world and has touched many lives (including my own), I picked this one as today's quote -- and I believe that change begins with each and every one of us. Sometimes, a smile, a kind gesture, a hug, or even acknowledging someone can impact that person's life. Sometimes, people just need to feel like they exist, and often times we walk past others or ignore others for no reason or out of habit. Today, I encourage you to reach out and be a light. We're blessed enough to see another day, which means we're blessed enough to spread more love and more good. Take advantage of that opportunity. Today is the day.